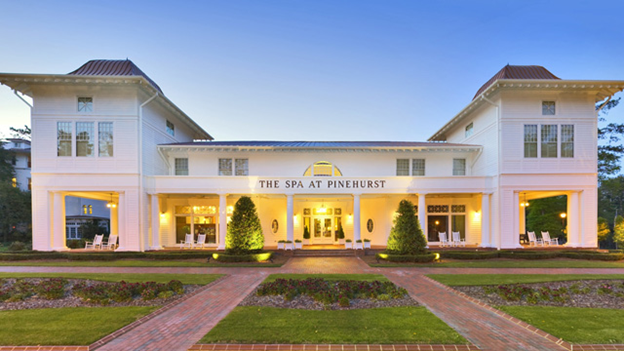 From historic reverence to casual ease, Pinehurst offers accommodations for every taste. Choose from the stately Carolina, the charming Holly or the relaxing Manor. Families and larger groups may prefer the spaciousness and convenience of The Carolina Villas or The Condominiums, with views of the golf course or Lake Pinehurst. The Holly Inn opened on New Year’s Eve in 1895. Twenty guests paid $3 for a night’s stay to welcome the first New Year in Pinehurst History. Every detail has been attended to. Decorating the walls and floors are a series of natural botanical prints and images, reminiscent of times gone by. 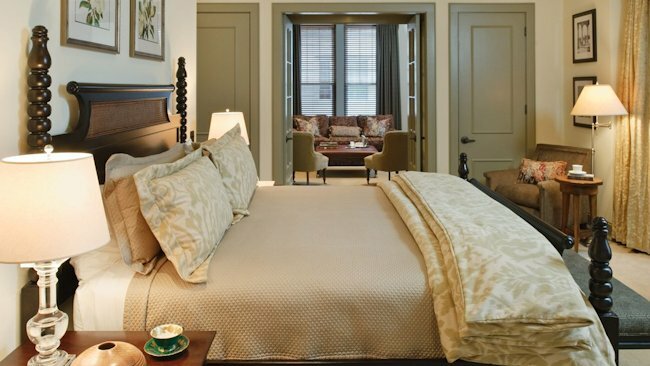 You’ll see the fine touches in every nook, from the jewel-toned Tiffany lamps, to the reading selection in the library, and to the comfort of a rocking chair in your guest room. 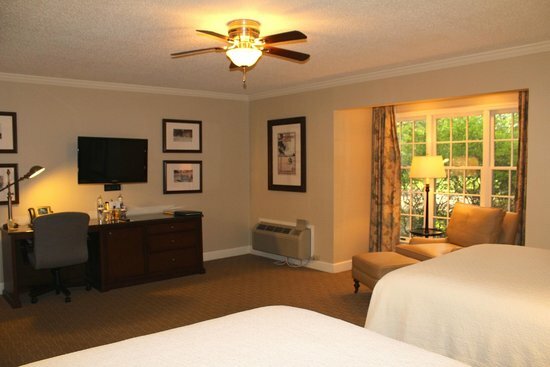 Located a short walk from the Carolina Hotel is the casual Manor Inn. Built in 1923, the intimate Manor features 42 guest rooms including suites and adjoining rooms. All rooms feature modern amenities like WiFi and flat screen televisions. As with all resort accommodations, guests of The Manor enjoy access to resort restaurants, pools, spa, fitness center, golf and more.Complimentary shuttle service is provided throughout the resort. For families and groups, the Condos at Pinehurst provide lovely views of pristine fairways and Lake Pinehurst. Choose from two and three bedroom condos each with a full kitchen, living area and private baths. Enjoy easy access to the courses, the Village and the entire Resort via our complimentary on-call shuttle service. Experience the art of leisure as you explore the timeless Village, with its sandy paths, historic homes and charming shops. While away the day in our award-winning Spa, take a croquet lesson, or kayak on our private lake. There’s no shortage of ways to relax. From the gourmet Southern flavors of the Four-Diamond 1895 Grille to the casual atmosphere of the Ryder Cup Lounge, dining options at Pinehurst include something for every taste. With impeccable service and a staff of more than 100 culinarians ready to create the entrée of your dreams, be prepared to overindulge – and enjoy. 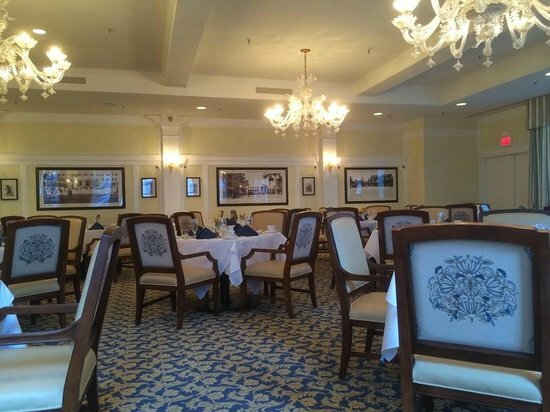 Step back in time in our most expansive dining room, offering breakfast and dinner. Executive Chef Thierry Debailleul’s amazing menu features hand-selected aged beef and signature dry seasoning rub for our steaks and chops. Menus change seasonally, invoking the fresh flavors of the area. Named for the 1951 Ryder Cup held at Pinehurst, this casual restaurant and bar surrounds you with history. Located in the Carolina Hotel, The Ryder Cup’s unique menu includes classic American fare with a twist. The 1895 Grille at the historic Holly is a Four-Star dining experience in every way. This intimate fine dining room features an exceptional menu straight from Carolina Farms to our tables. An antique bar brought over the pond from Scotland is the centerpiece of The Tavern, a cozy spot for lunch and dinner. The menu features a variety of unique sandwiches, salads and soups for lunch and a more hearty menu of pasta, beef and other entrees in the evening. In addition to golf course designer and head professional, Donald Ross also served as Grill Manager during part of his tenure at Pinehurst. We’ve kept his name for this favorite lunch eatery for golfers. 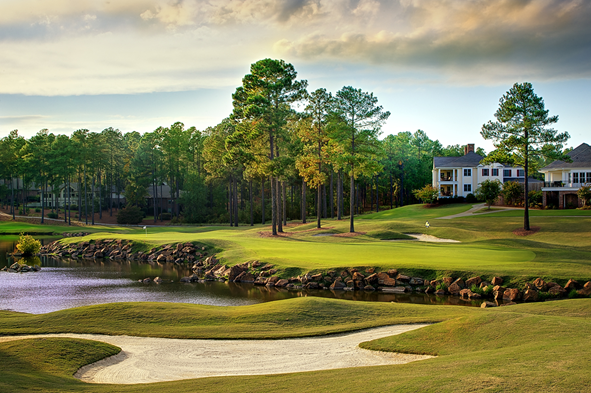 With access straight from the golf course, you won’t have to travel far for a cold one after a round at Pinehurst. Course No. 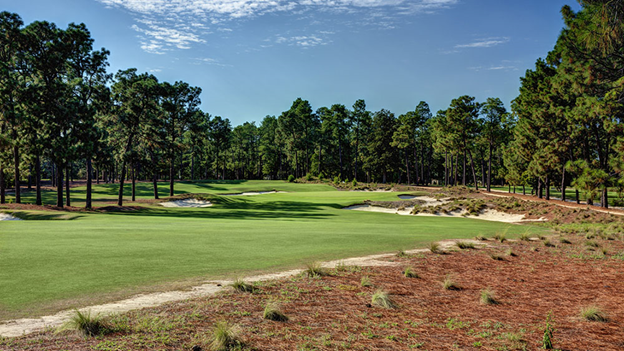 8 was designed to celebrate Pinehurst’s 100th Anniversary and you’ll find plenty to celebrate here. The dining room is open for lunch when the golf course is open, and offers a deli-style menu. In the course of a century, Pinehurst has grown from the humble beginnings as a wellness community to becoming one of the preeminent golf resorts in the United States, if not the world. Few courses have the history and heritage of Pinehurst, built upon year after year through not just the storied golf championships, but through the stories passed down from generation to generation of amateurs who get to walk in the footsteps of greatness.